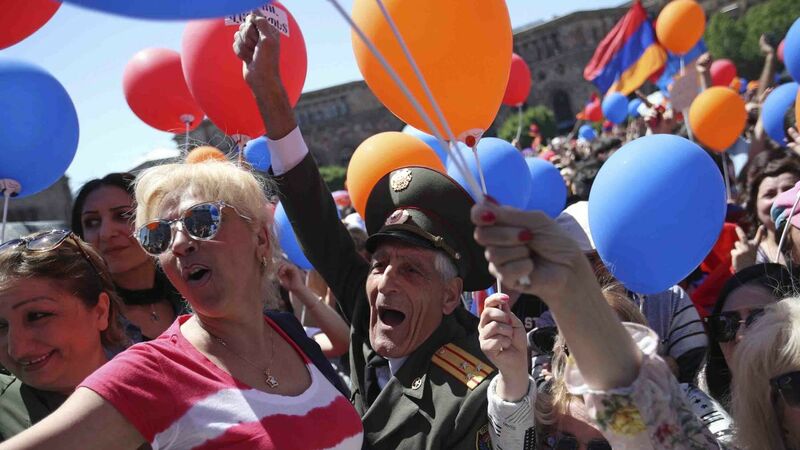 On this Europe Day, the Steering Committee (SC) of the Eastern Partnership Civil Society Forum (EaP CSF) welcomes the peaceful resolution of the leadership crisis in the Republic of Armenia within a constitutional framework, which has resulted in the election of Nikol Pashinyan as the new prime minister. We congratulate all the participants in this process who have shown remarkable resolve and restraint during the crisis and wish the new prime minister all the best in the difficult task, which lies ahead. We trust that the maturity that Armenian society has shown in the past weeks will form a strong basis for the necessary but difficult reforms and that decisions in both internal and foreign policy will continue to be taken in the constructive spirit of good will which has hitherto imbued the protests. We note that the failure of the departing authorities to ensure the rule of law and democratic governance processes and to adequately combat corruption as well as social discontent with economic conditions lie at the root of the crisis. The new government will no doubt address these issues. One of the first steps necessary for the progress of Armenia must be the holding of free and fair elections according to the highest democratic standards. They should be governed by rules, which incorporate past recommendations by the Organisation for Democratic Institutions and Human Rights (ODIHR) and the Council of Europe Venice Commission. Such elections will put in place a legitimate government with a strong mandate for the changes that will benefit society at large. The Comprehensive and Enhanced Partnership Agreement (CEPA) signed between Armenia and the European Union (EU), which has recently been ratified by the Parliament of Armenia, provides a good basis for the reforms which are needed to ensure a free and prosperous future for the country. The EU should support these reforms and consider further financial aid to underpin the changes should such a need arise. The EaP CSF Steering Committee also urges the new authorities to work closely with the civil society and draw on the advice and expertise that the EaP CSF Armenian National Platform, as well as individual organisations can provide to inform and support the much-needed steps, which await Armenia.